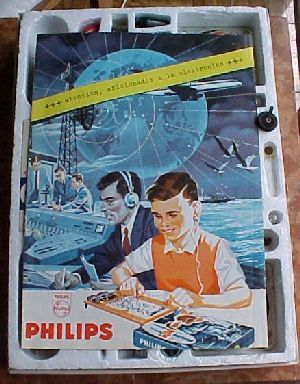 These kits are published by Philips, not only in the Netherlands, but in many countries and native languages like Germany, USA (Norelco branded), Italy, Argentina and South Africa. 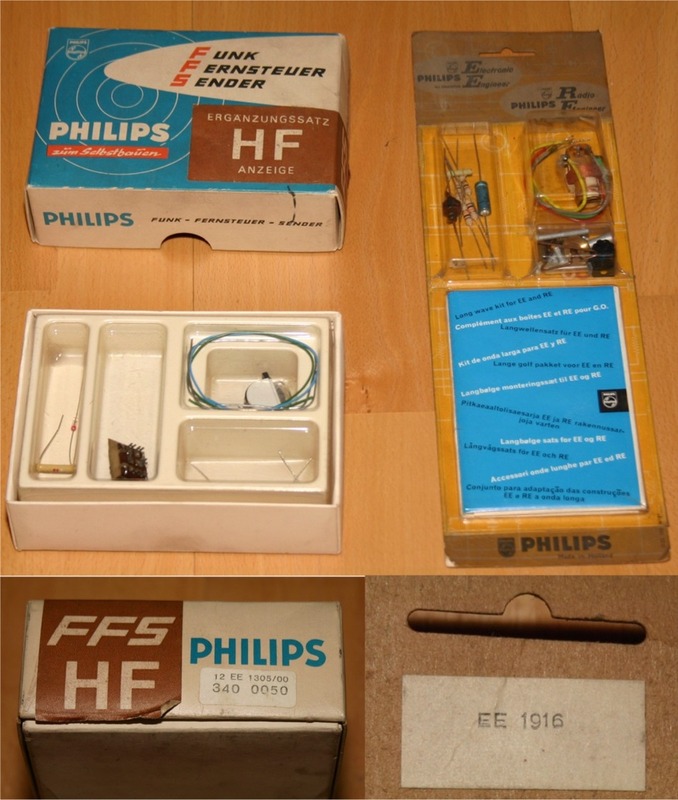 Not only were these kits quite versatile, they were also offered in all majar countries in local languages where Philips was active at that time. 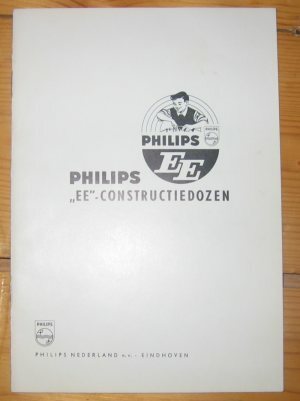 On this page I show you the kits in my possession and the pictures and manuals of a number of non-dutch kits. 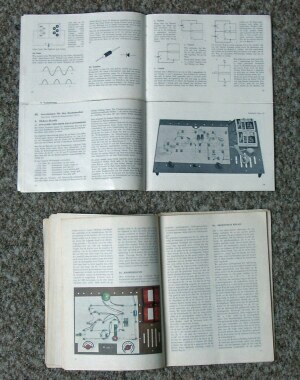 – the original manual that came with my EE8 box: dutch, colour circuit diagrams and colour photo’s of the board layouts. The size is A4. Documented better on my EE8 page. 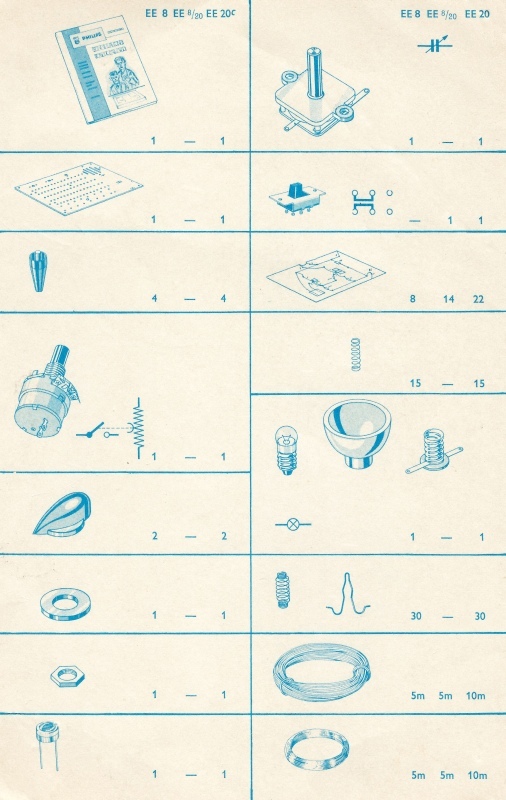 The Italian manual is scanned by Federico Paoletti, the Brasilian by Jose Daher de Barros. 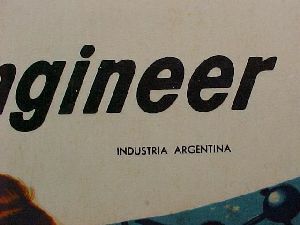 Photos of the Argentinian manual are made by Andres. The complete manual is scanned by Jose Daher de Barros, thank you! 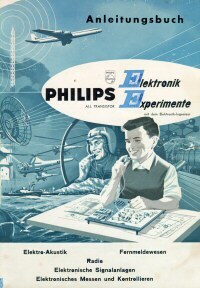 Part of the german manual in PDF format , with contents page, list of experiments and component list. 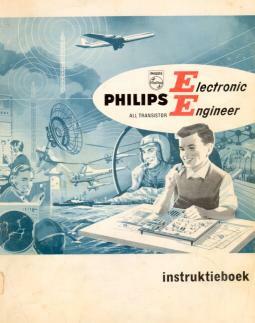 The complete manual is scanned now and is available in the library of Tor Gjerde. 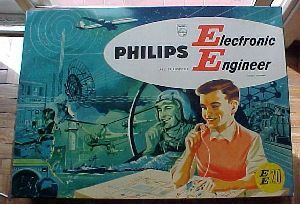 It is a longwave add-on for RE and EE kits. See the picture on the right for the box. Design made by Francisco Eduardo Homor. 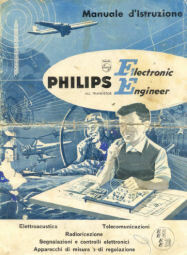 Look on the South African EE20 page where John Lusty from South Africa tells about the EE20 kit he bought at age 11 and how this influenced his career. 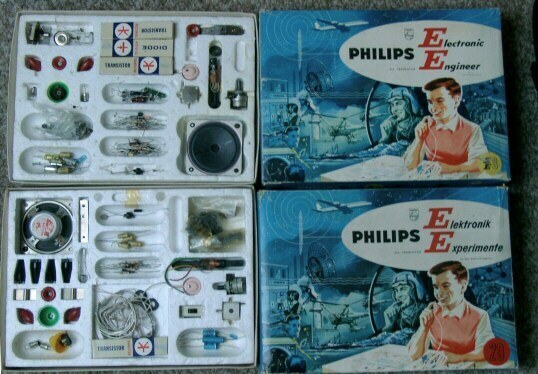 After building my Pionier Junior II and getting bored with the possibilities I managed to get an EE8 kit. 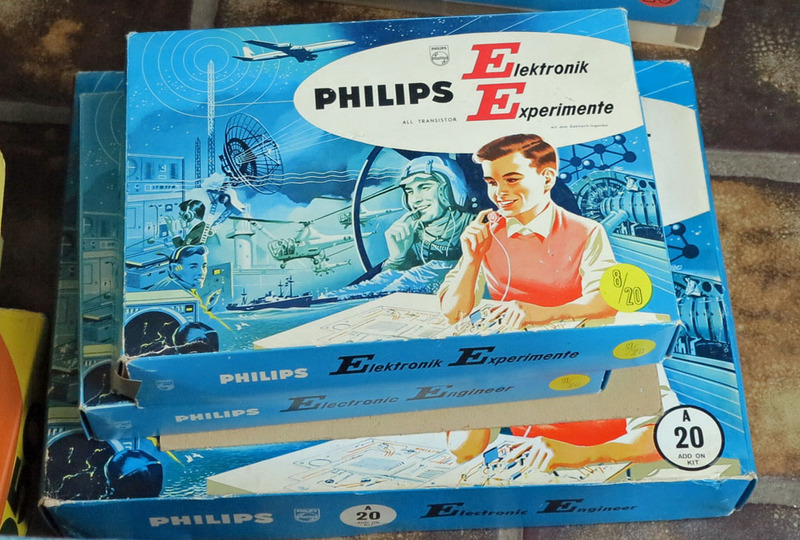 And this kit made it possible to explore much more than just a radio: in total eight experiments (hence the name EE8) including quite a good midwave radio receiver. 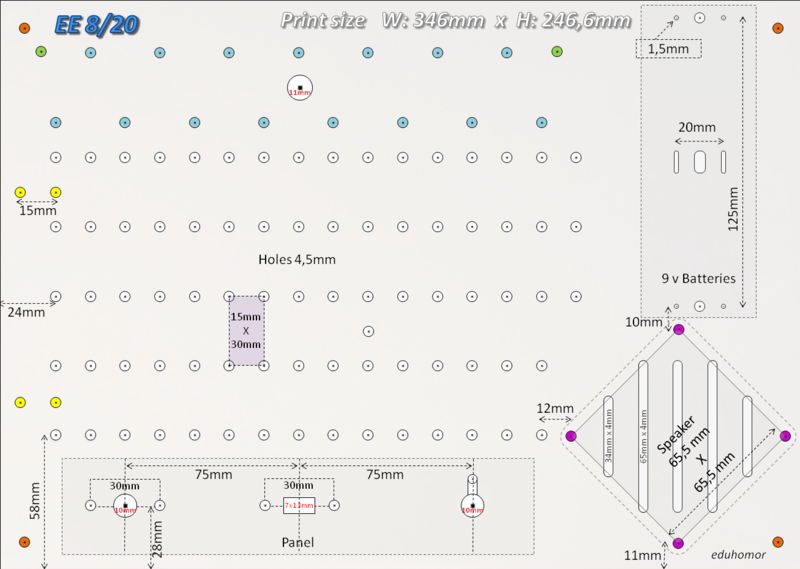 The EE20 contains 20 experiments, the A20 box is the upgrade from EE8 to EE20. 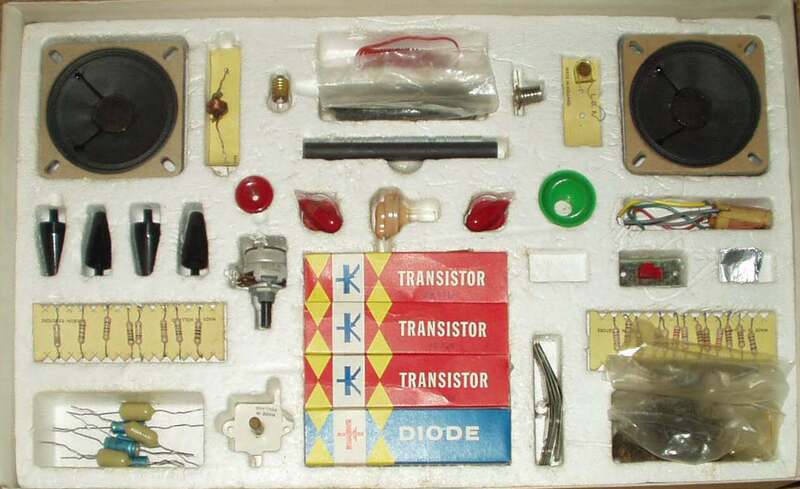 Watch out, I see offered on auction sites kits as EE20 which in fact are A20 kits! 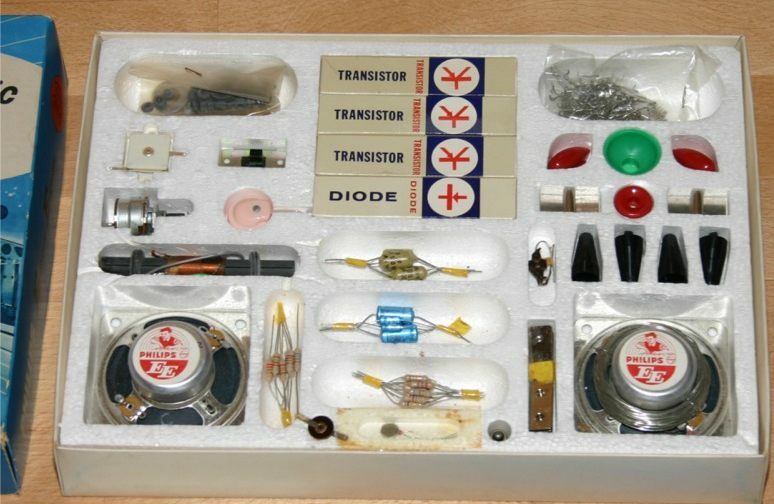 As a boy I did not have the money to get a A20 kit but since the manual of the EE8 also covers the EE20 I did buy the components like transistor and loudspeakers and build all the experiments. 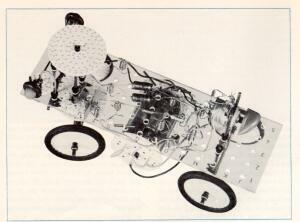 And those components also were used to upgrade the Pionier II to a sort of Pionier III radio. 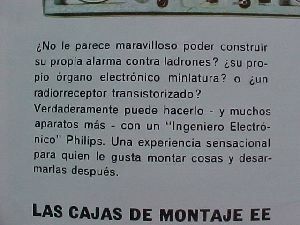 The manual is, like the Pionier manual, quite good in explaining the concepts of electronics. 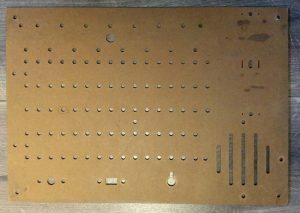 The system of pinheads and boards with holes, first available in the EE5/10 kits, is a big improvement over the system of the Pionier Junior and is used in the EE kits afterwards. 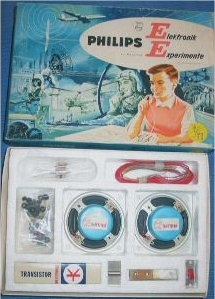 Also the use of templates that are placed on the board made building the experiments quite convenient. The weak point is the the use of the transistors (germanium like AF116 and AC126 as is, the wires break often and it is to easy to wire them wrong. The loudspeakers are small, and the quality is lousy. Attaching with screws and bolts helps, and a separate board helps even more, though it is not hifi. 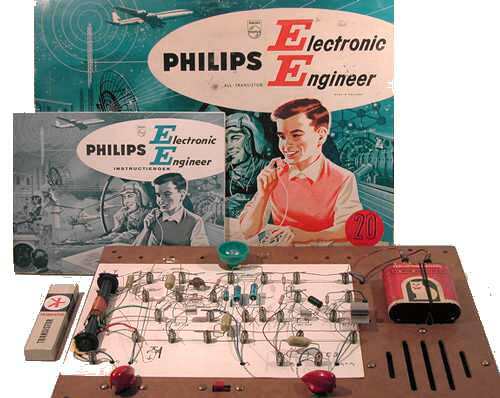 That lack of quality made me explore building real quality amplifiers and loudspeakers and the EE8 kit disappeared in the quick growing collection of electronic components. 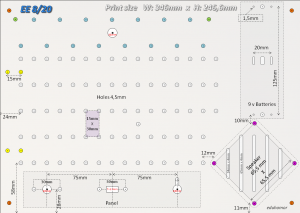 The designs in the EE8/20 are ranging from electronic organ, intercom to light-enabed switches and ofcourse the radio, as shown in the next picture. Here you see the two EE8 (top) and EE20 (bottom) boxes I have now. 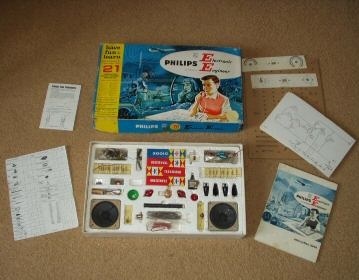 The boxes contain lots of components in not-original locations and some extra. 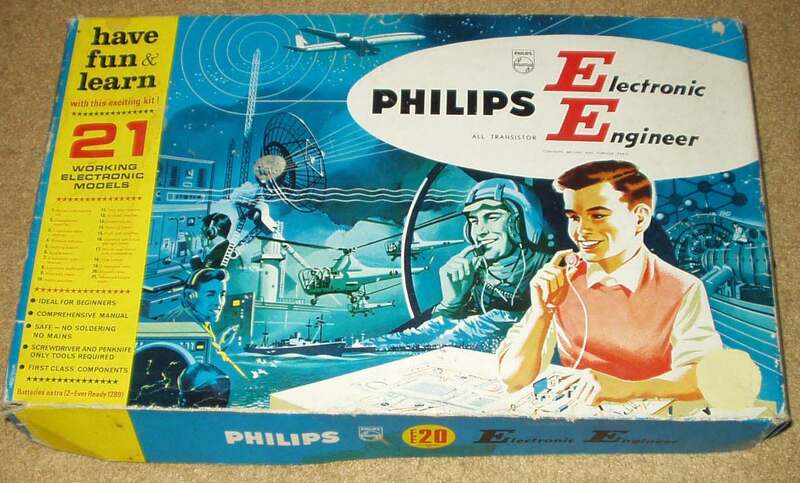 The next picture shows a EE20 box in new state. Note the different sticker on the back of the loudspeaker. Kevin Kingsland made some nice photos of the EE20 as sold in the United Kingdom. 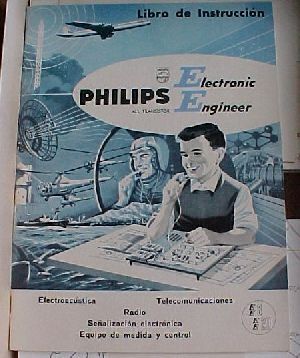 Thanks to Andres from Argentina I can show you the EE20 kit as made and sold in Argentina. 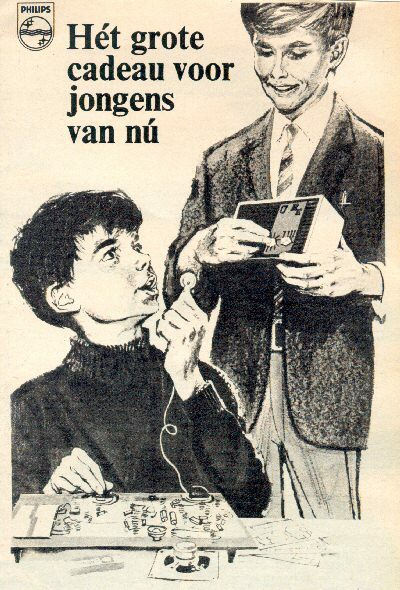 I found an advertisement in a dutch magazine (august 1964) for the EE8/20 and the RE 1/2. Note the prices! Click on the pictures below to see a larger version. 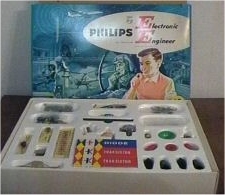 The Mechanical Engineer kit ME1200 and the EE8/20 are from the same period, around 1964. 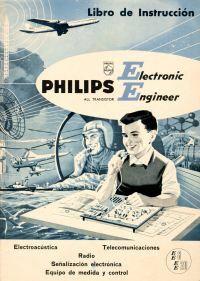 See the ME1200 page how Philips made it possible to combine the electronics of the EE8/20 with the mechanics of the ME1200. 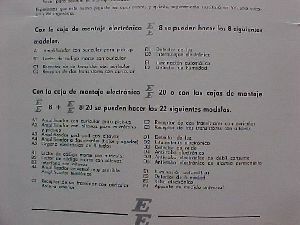 This is repeated for the EE1003/ME1201 kits. 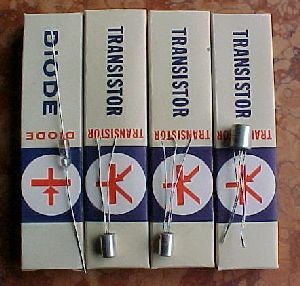 The transistors and diode in the EE8 and EE20 are germanium types. Not only is the construction method, by directly using the wires, dangerous for the lifetime, also the transistors like AF116 are quite vulnerable. 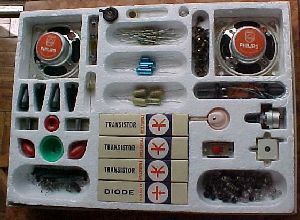 I remember many visits to the electronics shop to buy replacements. The dutch may remember Aurora kontakt in the Vijzelstraat in Amsterdam! The AF116 is very hard to replace these days. But types like the AF125, AF126 and AF127 are still available and do perform quite well as replacement. 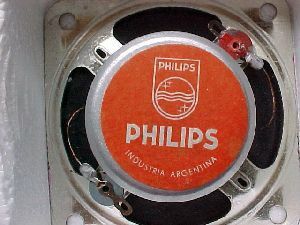 The AC126 and AC128 are still for sale as are germanium diodes like the OA90. 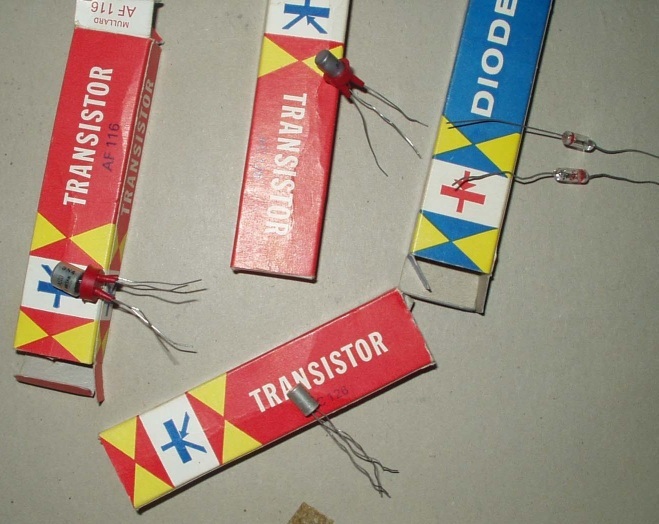 The next picture may help in using these replacement transistors.